In this series we will take two Dynasty Nerds writers and pit them up against one another concerning certain players or topics. 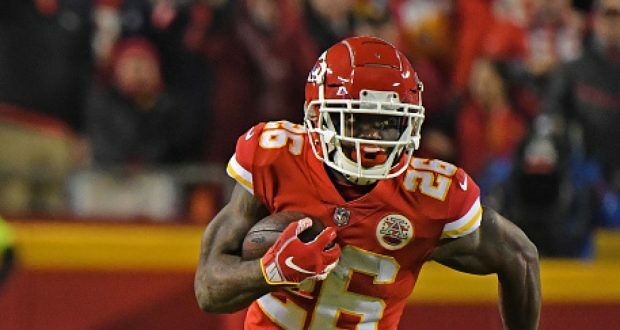 In this specific article Jordan Richards @ChaBoyJRich and Garret Price @GMP_33 debate whether you should be buying or selling Damien Williams. Firstly, I believe Williams was signed by necessity. Spencer Ware was a FA, and so was Williams. Reid didn’t want to walk into the offseason with no running back on the roster. Now they did still have rookie Darryl Williams but he is not ready to handle a big role in the offence the way Ware or Williams did. I believe that they needed to ensure they would have someone that could be an option for next season, as he’s clearly shown success on the team. I am a big believer they will draft a between the tackles runner to split a workload with Williams who could be the primary receiving back for the offence. Secondly is his workload. Can you really expect Damien Williams to be the primary back on that team for an entire season and hold up? He was averaging 18.6 touches per game as a starter for Kansas City in 2018. That equates to nearly 300 touches for a player who has never had more than 73. Now there is no logical reason why anyone should expect 300 touches for him because he would probably fall apart. He is 27 years old to start the year and no established role as a primary back in the NFL. He would be in very unique company to find major success without any evidence of success prior. Additionally, if the team believed in him more they would have given him more money. They gave him a few dollars before anyone else could to keep him off the open market, but I wouldn’t take that as a sign of confidence going forward that he is THE guy. By no means do I think he is going to be bad on the Chiefs next year (if he is the starter) but I would be selling because I don’t think he will be a feature back that people hope he will be and he is being projected as right now in start-ups (RB16-20 as per dynasty nerds poll). 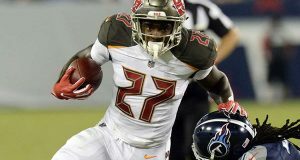 He will more likely fall out of the top 100 players once another talented running back comes into the mix, one you may even get in the back end of the 1st of a rookie draft in 2019. Take the 1st, it will only go up in value from here as the draft approaches. At the end of the 2018 season, we saw the emergence of Damien Williams. 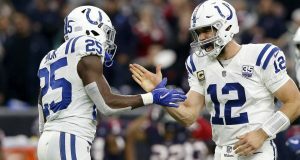 The man did everything you would want to see out of a running back in the fantasy world: he ran well between the tackles, he caught well out of the backfield, and he got the touches needed to have big games. The real question is, what do we do with him in 2019 and beyond? In short, I am buying Damien Williams. First, let’s get the easy point out of the way that everyone seems to agree on… You definitely want to own the Kansas City RB1. Despite some great points by my dude, Jordan Richards, I do think that Williams can and will be that running back. As stated above, Williams has shown that he is at least capable of being a running back that can sustain a workload (yes, it’s a small sample size, I am aware) and can be productive with it when given the chance. Get this, Williams had a whooping 10 total touchdowns in his final 6 games played, including the playoffs, this season. I do think that Jordan is correct in assuming that the Chiefs will draft a running back, but I think it is almost unthinkable that it could happen before round 3 or 4, in which case the incoming rookie would have to supplant Williams and would be far from having a guaranteed job. Even when the incredibly talented Kareem Hunt came to town just 2 years ago, he (as a 3rd rd pick) was actually slated to begin the season as Spencer Ware’s backup until his devastating injury. I think whoever comes in would have to take the job away from Williams. Unless he tragically regresses over the offseason, I just don’t see that happening. We also have to consider the cap situation with the Chiefs. 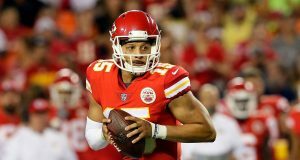 They currently have approximately 37 million available and they have to figure out what they want to do with breakout players like Dee Ford and Steven Nelson on the defensive side of the football. Considering the money situation I don’t expect their to be a free agent running back acquisition of any monetary significance this offseason. Lastly, for me this whole thing boils down to team need. The Chiefs had the 24th ranked scoring defense in 2018. I would guess most major draft picks and FA budget will go to that side of the football. Conversely, the offense was incredible and didn’t miss a beat when Kareem Hunt departed the team. I think they liked what they saw in Williams and rewarded him with a 2 year 5.1 million dollar deal. Yes, its not earth shattering money and there is some out language if needed, but I think that the timing of the deal (during the playoffs, before the season was over) and the obvious pay increase prove that the Chiefs believe that they found a diamond in the rough with Damien Williams. I’d be willing to trade anything after rookie pick “1.07” for him and feel great about it.